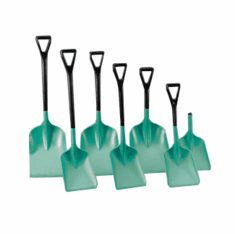 REMCO Polypropylene Safety Shovels 10 1/2 x 14 D-Grip 33"
1 - 2 pieces $61.44 ea. 3 - 5 pieces $58.08 ea. 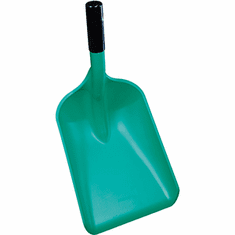 REMCO Polypropylene Safety Shovels 10 1/2 x 14 38 1/2"
1 - 2 pieces $58.86 ea. 3 - 5 pieces $55.68 ea. REMCO Polypropylene Safety Shovels 10.5 x 14 D-grip 43.7"
REMCO Polypropylene Safety Shovels 14 x 18 D-grip 35"
1 - 2 pieces $79.86 ea. 3 - 5 pieces $75.54 ea. REMCO Polypropylene Safety Shovels 14 x 18 D-grip 40 1/2"
1 - 2 pieces $78.18 ea. 3 - 5 pieces $73.98 ea. 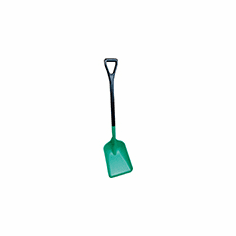 REMCO Polypropylene Safety Shovels 14 x 18 D-grip 46"
1 - 2 pieces $79.44 ea. 3 - 5 pieces $74.10 ea.